Carbon emissions from the logistics fleet can add significantly to the corporate carbon footprint. 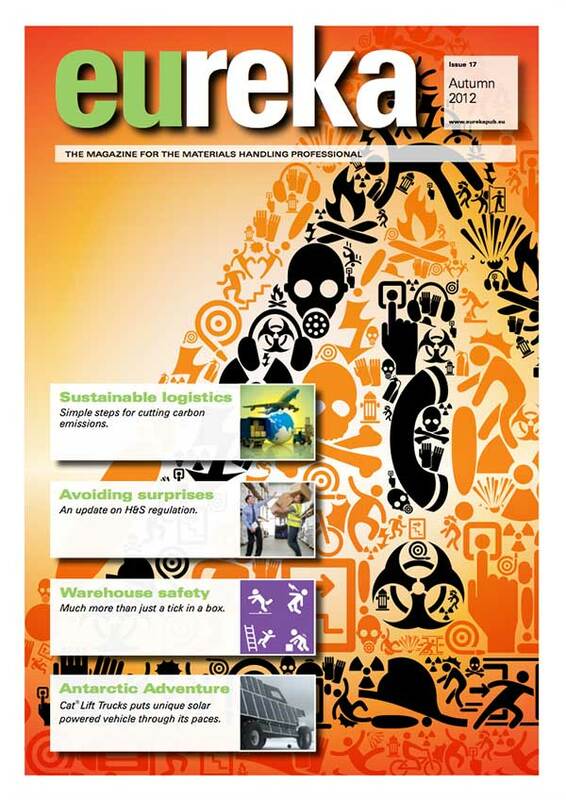 Gay Sutton takes a look at some of the most effective initiatives for reducing the environmental impact of pickup, delivery and freight operations. The imperative to go green has never been greater, nor the options for reducing the carbon footprint of the logistics fleet more diverse. And it’s by looking at the ongoing product testing and roll out of green initiatives at some of Europe’s best companies, that we can begin to understand what works, the type of savings that can be made, and where the latest research is headed. What then can smaller companies learn from this? Global logistics giant, Deutsche Post DHL, operates in over 220 countries worldwide, its DHL Express division alone employing a fleet of 285 aircraft and 31,000 vehicles. According to Global Head of Network Management, Joerg Andriof, the single most effective way for reducing the carbon footprint has been by continually working to optimise fleet usage through capacity and route. The simple principle behind capacity optimisation is that by filling a van, truck or plane to capacity, the CO2 emissions per kg of product can be reduced significantly. Once the DHL forecasting system predicts the volume of shipments the company is likely to be asked to carry, the Capacity Management System plans the most appropriate mode of transport for the distance involved, the route it should take and how it should be handled. It then schedules the shipments onto multimodal transport, including rail, to achieve maximum capacity and fuel efficiency. The company is always looking for ways to improve. Prior to 2010, for example, smaller loads travelling between Hong Kong and Koper in Slovenia were sent by air to Hamburg and then trucked to their final destination. By consolidating them with other freight into a single container they now go directly to the port of Koper, cutting transit time and increasing CO2 efficiency by over 40%. 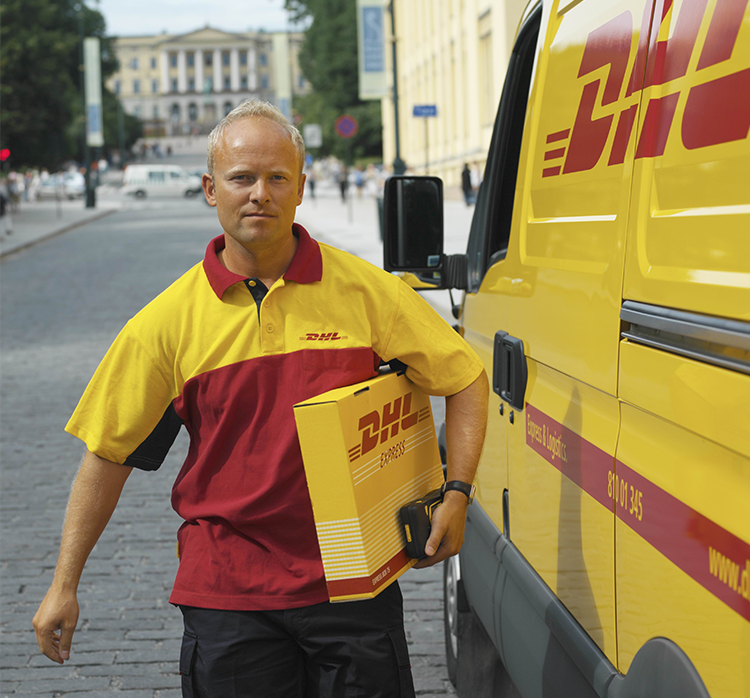 It is, however, for the yellow and red vans that DHL is known. “On the road pickup and delivery side,” Andriof said, “we optimise the route, and even aim to reduce the number of stops required per trip to reduce the need to turn the engine on and off.” The latest Pickup and Delivery Optimisation programme is currently being rolled across the business, and this takes into account elements such as distance travelled, service commitments and traffic data, as well as conditions that are unique to the individual trip such as detours and unplanned bookings. The system then provides the driver with the best possible route and delivery/pickup sequence. There are many capacity and route optimisation solutions on the market and they undoubtedly deliver results. However for smaller companies who simply don’t have traffic in both directions one option is to consider collaborating with other companies to share backhaul routes – either carrying a partner’s goods on the return journey or routeing the shipment on a partner’s vehicle, thereby utilising spare capacity. Beyond capacity and route optimisation, there are many practical things that companies can do to reduce the fuel consumption of the fleet, and therefore CO2 emissions. Driving techniques make a surprising difference to fuel consumption. Harsh accelerating and braking, for example, are both heavy on fuel while cruising at an appropriate speed for the vehicle, and anticipating rather than reacting to changing traffic conditions are far more fuel efficient. To improve driving techniques across the company, DHL runs what it calls eco-driver training courses for all drivers, and this is supported by ongoing awareness campaigns to encourage drivers to continue striving for the best fuel efficient driving practices. Monitoring vehicle and driver performance also plays an essential role in identifying improvements that can be made to route planning as well as training required to improve fuel efficiency. Monitoring can range from a simple fuel management system that reports on fuel consumption by recording refuelling and mileage, through to a sophisticated telematics system that wirelessly transmits real-time data from the vehicle directly to a central management system on metrics such as driving hours, location, idling time, fuel consumption and mileage. In 2010, DHL piloted a telematics system and used it specifically to determine the training required to improve driving performance. During the 12 month trial, fuel consumption was reduced by a further 6.5%, and the system is now standardised across the company. Meanwhile, North London Gas Alliance (NLGA) has implemented a fuel management system for its fleet of 100 light commercial vehicles as well as subcontractor vehicles and company cars. Linked with the introduction of fuel cards, a GPS system to improve journey planning, and eco-driver training NLGA has been able to achieve fuel savings in excess of 10%. Another important place to look for fuel savings is the type and condition of a vehicle’s tyres. Tyres with a low rolling resistance, although initially more expensive, can ultimately deliver cost savings by reducing fuel consumption by up to 10%. 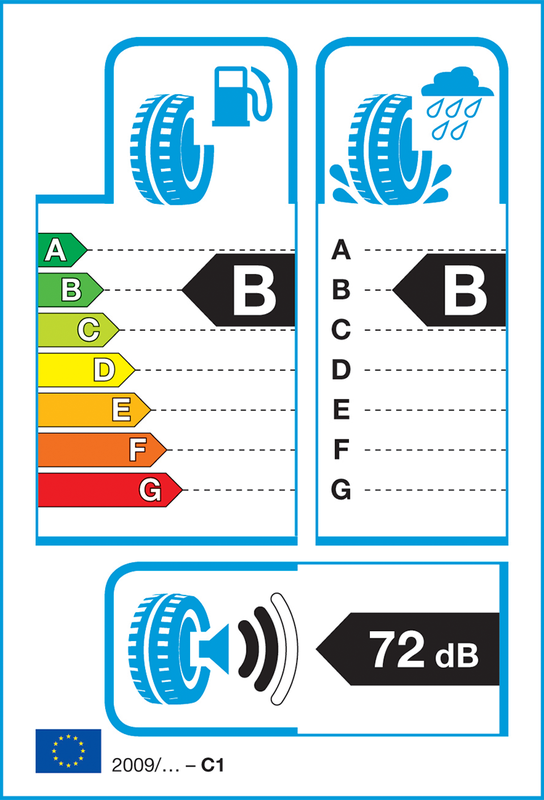 And identifying fuel efficient tyres is to become much easier in November when new EU regulations require truck tyre manufacturers to specify the energy efficiency of the tyre using a label similar to those we already see on electrical white goods. In recent years there has been impressive innovation in vehicle technology. With a bewildering array of electric, hybrid and alternative fuel vehicles appearing on the market, we will review the pros and cons of these options in a later issue. However, alternative vehicle technologies are not just confined to the engine and fuel system, and some are relatively inexpensive. Aerodynamics, for instance, can make a surprisingly significant difference to fuel consumption. 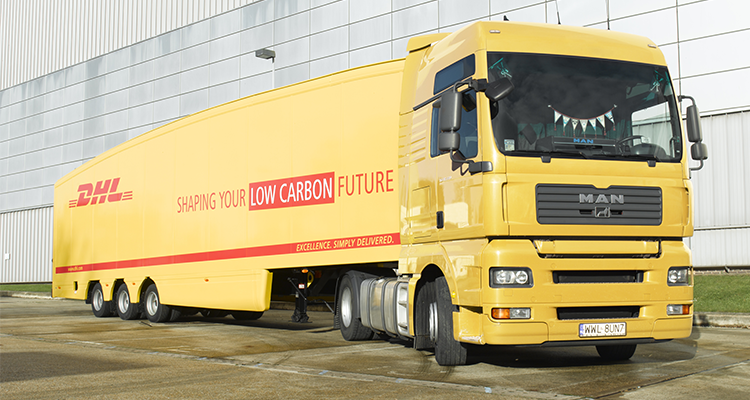 In Germany, for example, DHL has installed aerodynamic frontspoilers on over 1,300 medium trucks, while the eye catching teardrop trailer is currently achieving carbon savings of 6% and 9%. Richard Waters from the Carbon Trust summed up the most important steps to take in moving towards lower carbon logistics. The important message, exemplified by DHL, is that this is a matter of continuous step-by-step improvement. This article appeared in the 2012 Winter edition of eureka magazine.